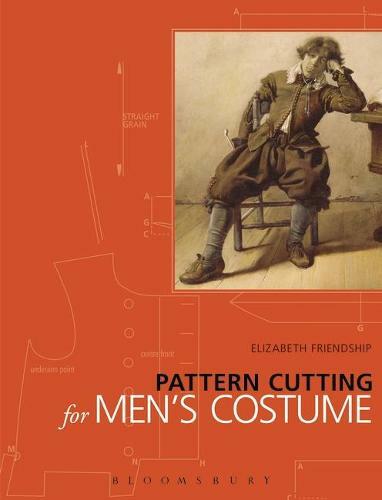 Pattern Cutting for Men's Costume is a practical guide featuring patterns for the most important garments worn by men between the 16th and 19th centuries. Easy-to-follow instructions explain how to cut patterns for 'average' and individual measurements - with expert advice on how to adapt patterns to fit men of all shapes and sizes. Introductions to each section describe the major developments in men's dress - revealing how garments evolved - and patterns for period garments for which there are no actual examples are based on contemporary paintings. Illustrated throughout with hundreds of diagrams, this is a much-awaited and valuable addition to the library of costume-makers in all fields. Features a new system of drafting patterns for men's period costume. Includes patterns for the most important non-fashionable garments (worn from the 16th to the 19th centuries) plus clothes in vogue from the middle of the 16th to the end of the 18th centuries. Illustrated with hundreds of diagrams accompanied by step-by-step instructions for period garments, plus a few versatile theatrical designs.